This morning President Bush carried through on his promise to veto the SCHIP bill which contained large tax increases on tobacco. The veto ceremony took place quietly before he left Washington to travel to Lancaster, Pennsylvania. The veto, which is only the forth of Bush’s presidency, stops a 256% increase of the excise tax on cigars to 53%. The proposed tax also raised the cap on from 5 cents to $3 per cigar. The combined effect would have raised the price of many premium and ultra-premium cigars by $100 or more per box. 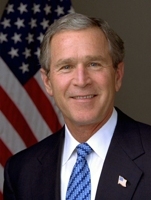 While many in the cigar industry will applaud the veto, Bush has spoken little about the tobacco taxes. His opposition to the bill has instead been focused on a desire to halt expansion of SCHIP to children of families whose income levels are far above the threshold for government assistance. While not cited specifically by Bush, other critics of SCHIP expansion cite as an example this New Jersey family who, with assistance from SCHIP, can to afford to send their daughter to a nearly $10,000 per year private school. As we reported earlier, SCHIP supporters in the Senate appear to have the votes to override the veto. However, the House remains short of the two-thirds threshold, meaning that at least for now cigar taxes will remain the same. Unfortunately, cigar smokers and others who oppose these excessive and punitive cigar taxes should take little solace in this outcome. Yes, Bush vetoed the bill, and yes they seem able to muster enough opposition in the House to sustain the veto, but this will still be very damaging long term. Anti-tobacco forces now have majorities in both houses on the record supporting large tax increases on tobacco. That’s why, even though the current tax hikes might not get through, this is a very bad loss for adults who want to be able to enjoy cigars with out paying outrageous taxes on these legal products. Also, as George expressed in his commentary on Monday, the cigar industry should have done a better job on this issue. Based on the retarded comments Hussein left on yesterday's article, I'm not quite sure how to respond to this. Actually, for the most part, the tobacco tax was barely a blip on the radar screen for the president or anyone else in this vote. We, as cigar consumers, were presented this as a tobacco tax, while to the rest of the nonsmoking world this was a bill to continue SCHIP, a health insurance program aimed at helping children of low income households. Bush didn't veto it because of the outrageous tax increase that would be placed on ciars, he vetoed it because he (or at least his party and their constituency) disagreed with many of the provisions of the plan. Legislators are not going to be branded as being pro or anti tobacco for this one, and they certainly won't be accused of flip-flopping if the reason for their support or opposition of this bill is taken out. The SCHIP issue will rise again (and soon), and it may or may not depend on excessive tobacco taxes for funding. However, we, as cigar smokers should voice our concerns not as opposition to the bill as a whole (unless you enjoy being called a baby hater), but as opposition to the excessive tax intended to fund it. When SCHIP returns to the schedule (because the program isn't going away), we need to adjust our message. The appropriate response is not, "Boo! SCHIP bad!" The appropriate response is, "I agree that this is an important program that families depend on every day, but we should be thoughtful of where the funding comes from, and who we are potentially hurting in the process." Think about the businesses and the foreign economies that depend on the cigar industry. To sway our representatives, we have to be mindful of their constituents. If you live in Florida, remind them that they represent the very seat of the cigar industry in the US. In the northeast, talk about the Connecticut Valley farmers who make a living selling their product to the cigar makers. Put a face on the problem (other than yours). Talk about the wholesalers that might be in you area. the shopkeepers that are your friends. And most importantly (and that's why I'm repeating myself) don't make it about SCHIP, make it about the funding. Finally that joke of a president did something worthy of respect. As we all know, SCHIP was the first step to national healthcare. You qualify if you are a kid age 25 or less and living in a family of four that makes $80K a year. Gimmie a break. I think you’re exaggerating a bit, especially since SCHIP already exists. This veto won’t kill SCHIP because it still needs to be renewed, however this time around the attempts to expand it will probably be scaled back. By the way, what’s so bad about universal healthcare? Put aside who in politics is pushing for it. If a plan could be created (and I’m not saying there’s one out there, but let’s imagine together) that would have a near zero net cost to you (in other words your taxes would only go up by an amount roughly equivalent to what you already pay through your employer), and no citizen would be without healthcare, why is that bad? Think about the money saved by keeping non-emergencies out of the ER (or treating problems before they become emergencies). I’m not trying to start a political debate. I’m just trying to approach the issue from a purely intellectual standpoint. I can understand not wanting higher taxes (that’s what this post is all about), but I don’t understand opposition to universal healthcare in general. From a tobacco tax perspective, I think Paul said it right, that the message needs to be that the real problem is how the program’s being paid for. With smoking and the banning thereof being such a political hot topic on the local and state levels, we need to all work together to protect our freedoms and ensure that the taxes stay fair and equal. I have to agree and disagree on SCHIP. SCHIP as originally introduced has proven it's self to be a great help to low-income families. But since then I see many areas where it has been expanded far beyond what it should have been. In SOME States it has insured non-pregnant adults with or with out children. There was an article printed by Bloomberg sited a family on schip even though they spend $7200/yr on private school, phones, internet, cable. The article even states that it would cost them $230/mo to insure their daughter. We need SCHIP. It has a purpose. But if we only make it about funding we ignore all the other reasons this bill needs to be changed. I know for those of us working in the cigar industry or tobacco industry funding is the #1 problem. But I think that all the potential flaws of the program need to be pointed out. Bush has already been accused of being in the back pocket of the Tobacco Industry. In an ideal world everyone the US would have health care, a safe place to live, enough to eat, and equal access to education. Universal health care is a great idea but where in the world can we see it implemented for the benefit of the people? Personally I don't want the government making health care decisions for me ever again. Been there and done that. Universal healthcare is the absolute worst idea for this country. Why does someone want to go through government to get healthcare if they are already getting through an employer? We see everyday how badly government runs their current programs, examples: Social Security, Schools, Transportation. Do we really want to hand over our care to the government? What about the privacy issue? People fight everyday to keep our records from government intrusion (ACLU) and the same people that support them are more then willing to hand over health records over to a government run program?! There are to many examples already in place such as Canada and England where people have to come to America to get their procedures done, otherwise they have to wait months to get possible life saving surgery. Doctor’s are in a decrease in these countries, they are coming to America to support themselves, they can survive on a fixed income in these countries. How are they expected to pay back thousands of dollars in student loans? Hillary is already said her plan will cost over 200 BILLION a year! She touts this will save American Consumers money? I will bet you any amount of money that the 200 Billion mark will easily be increased to over 300 Billion within a year. how is that saving us money? What happens if the SCHIP does eventually go through and is paid for by the increase of Tobacco Taxes and people just stop smoking or it decreases the number of people smoking or they go to the black market? Where do you think the government will come to next to fund this program? Oh oh do you eat fatty hamburgers at McDonalds? Do you drink Coke? Guess what they’ll tax next to support that program? Every day my jaw drops at how people are more then willing to throw up their hands and let the government take control of their lives. But God forbid if our government is eavesdropping on a possible terrorist phone conversation, then all hell breaks loose. How much is the average American going to have to pay for these programs until they wake up one morning and see their paycheck is almost gone due to some form of taxation? The country was founded due to the high taxation of the English Government. There is no where for people like us to start a new government. What we need is another Boston Tea Party. A revolt one day soon will have to take place to awaken the politicians and awaken the people that do not pay attention to any form of the political process. We need to open eyes and some of us do not want our rights taken away nor taxed to death. Choice i’m told is a good thing! Ok i’ve said my peace for now.